Thousands rally downtown for Chicago Teachers Union Chicago Tribune: “I have no idea what goes (on) inside the CTU union and its internal politics, I really don’t,” Claypool said. “I do see a sincere effort by (CTU President) Karen Lewis, Jesse Sharkey and other members of CTU to get a deal, to get a deal.” See also WTTW. Teachers union has triple the public support of Emanuel Tribune: The survey also found that Emanuel’s approval rating on education has fallen to a record low as the mayor and Chicago Public Schools CEO Forrest Claypool are slashing budgets and cutting jobs in the face of the latest massive budget shortfall. Voters’ displeasure with the mayor’s handling of education tracks with the similarly low marks they gave Emanuel on his overall job performance and handling of crime. Jindal Lawsuit Against Common Core Scrapped by New Governor AP: Gov. John Bel Edwards is ending Louisiana’s lawsuit against President Barack Obama’s administration over the Common Core education standards. After Speedy Test Reforms, State Education Commissioner Says It’s Time to ‘Unplug’ WNYC: State education commissioner MaryEllen Elia said she hopes more parents will let their children take this year’s tests, after 20 percent opted out last year. New York’s opt-out movement aims to influence policy, not just parents. Here’s how ChalkbeatNY: The opt-out movement’s efforts to influence the Board of Regents have raised eyebrows. Some wonder whether a group founded expressly to encourage parents to skip legally mandated state tests should have a say in statewide policy. U.N. Experts Seem Horrified By How American Schools Treat Black Children HuffPost: The U.N.’s Working Group of Experts on People of African Descent traveled around the U.S. last month to learn more about the various structural barriers and challenges African-American face. 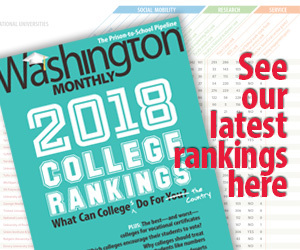 The group, which plans to release its full report in September, has given the media its preliminary findings, including several recommendations about reducing inequality in the U.S. education system. In Oakland, Building Boys Into Men NYT: A California school district tries to reverse the underachievement and lack of opportunity for the country’s most vulnerable students, African-American boys. Motorist Dead, 4 Students Hurt in School Bus Crash AP: One person is dead and four students injured in an accident involving a school bus and an SUV in southern New Jersey.